Q. How do these loan programs differ from a traditional bank loan? A. Our focus on a business’s historical cash flow and performance provides us with much more flexibility in our lending standards. This allows us to focus on the business and not just a credit score, providing you the capital your business deserves. Q. How can I find out how much my business qualifies for? A. To find out how much you qualify for, simply complete the form on any page of our site. We will contact you ​and send you our 3 minute application and provide some basic information. You will then receive a free, no obligation quote from an Account Executive who will review your funding options. Q. How do I pay back one of these loans? A. We will set up an ACH that will be retrieved from your business checking account M-F. We do not collect funds on Saturday, Sunday or bank holidays. This allows our clients to know when and how much they are paying toward their loan. Q. How quickly can I receive the loan? A. Unlike a bank which can take months, our approval time from submission is 48 hrs. This quick and easy turnaround allows you to have the peace of mind of knowing your funds are just days away. Our entire funding process typically occurs within 7 days of submission. Q. I am already with another financing company providing similar financing; can you replace that arrangement and offer me more money? A. Contact us to find out specifically how much we can offer you. We often offer larger loans than our competitors and will pay off your existing cash advance or loan if it is in your best interest. Call us today to find out how much you are qualified to receive. Q. What can my loan be used for? A. Your capital can be used for any business purpose, including: purchasing inventory, repairing equipment, renovations, expansion, reducing debt, or emergency expenditures. You are free to spend the money on whatever is best for your business. Q. 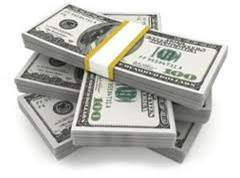 How does the Business Cash Advance program work? A. We advance you a specified dollar amount based off of your credit card receivables. Repayment is based on a small fixed percentage of your future Visa, MasterCard, American Express, and Discover receipts until the pre-determined payback amount is satisfied. Your balance decreases as your business makes sales thus helping you manage the cash flow of your business, especially during slower months. A. Our basic qualifications are that you must have a physical location, be in business for at least 3 months, process at least $2500/month of Visa/MasterCard receivables and have at least 1 year left on your lease. To find out how much you qualify for, simply complete the online application and provide some basic information. You will receive a free, no obligation quote within 24 hours from an Account Executive who will review your funding options. Q. How much will a business cash advance cost? A. Each business is unique and therefore receives a customized quote based upon its specific needs and situation. Several factors influence the size and cost of the Business Cash Advance, including; business size, industry, processing history, volume, ticket size, and various other factors. To find out how much you qualify for and the associated cost, simply apply now for your free quote. Q. Do I have to pay any fees to get a business cash advance? A. We do not charge Application Fees or Points and you can receive a free, no obligation quote by completing our simple online application. Q. How often do I have to make payments? A. Your balance decreases each time you process a credit/debit card. You never have to write a check. Our automated process is designed to work with our credit card processor to collect a small percentage of your daily Visa, MasterCard, American Express, and Discover receivables until your business cash advance is settled. Q. I am already with another financing company providing a similar financing; can you replace that arrangement and offer me more money? A. Contact us to find out specifically how much we can offer you. We often offer larger advances than our competitors and will pay off your existing advance if it is in your best interest. Call us today to find out how much you are qualified to receive. Q. Do you require a personal guarantee? A. No. Our Cash Advance does not require a personal guarantee; however, individuals may be liable in cases of fraud, misrepresentation, and as further detailed in the contract. Q. Can the daily payment percentage be increased after the account has been funded? A. No. We maintain the percentage till the advanced is paid in full. "If I said I wanted to buy $13,500 worth of pizzas over the next 6 months, and I'll pay you $10,000 today for those pizzas, you'd sell them to me right?" "Of course I would, I'm no dummy!" Contact us today and join the tens of thousands of businesses that have benefited from our business finance solutions. ​Your Money’s Here! More than $500 million in working capital provided to tens of thousands of small businesses nationwide. Over 85% of our eligible clients renew. This is due to the simplicity and speed of our process as well as the the outstanding customer service and support we provide during and after you access your funds.